So why aren't doctors telling their patients about it? Many doctors agree that breastfeeding may lower the risk of getting breast cancer (including a particularly aggressive type called triple negative breast cancer, according to the Susan G. Komen Foundation). “Breastfeeding has been shown to decrease the risk of breast cancer, particularly if done for at least 6 months and ideally at least a year if possible,” says Dr Elizabeth Comen, medical oncologist at Memorial Sloan Kettering Cancer Center and medical advisor to SurvivorNet. There are two reasons for this, explains MD Anderson Cancer Center. First, the hormones that are produced when a woman breastfeeds may delay their menstrual cycles—this, in turn, reduces the amount of estrogen her body is exposed to, and estrogen can feed cancer cells. Second, breast tissue diminishes during pregnancy and breastfeeding, and, “This shedding can help remove cells with potential DNA damage, thus helping to reduce your chances of developing breast cancer,” says MD Anderson’s Rachel King. Further, while only 8% of women said they chose not to breastfeed, 59% of those who abstained said they may have reconsidered had they known about these benefits. So why is this omitted from the conversation so often? 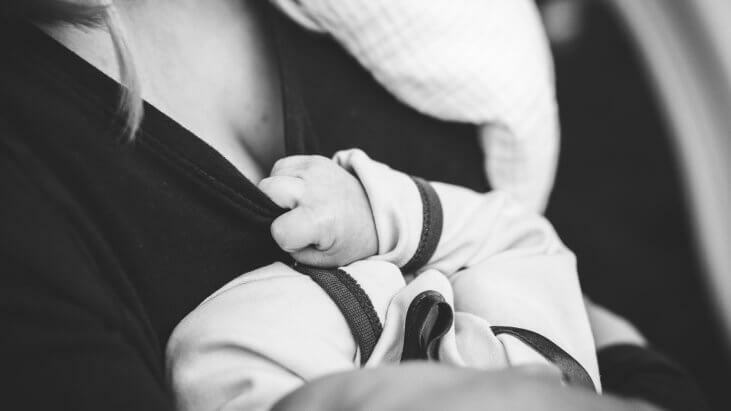 “Breastfeeding can be hard for new mothers and often the focus of breastfeeding is on the potential benefits for their children,” Dr. Comen suggests. And while it’s important to understand that breastfeeding is indeed beneficial for the health of the baby (Dr. Comen specifically notes that breastfeeding may actually lower the risk of cancer for the child, as well as the mother), women are often not encouraged to consider the benefits it may offer themselves. “Not all mothers can breastfeed, but for those women who can and want to breastfeed, as a society, it’s critical that we support breastfeeding mothers and ensure that they are informed of all the potential benefits both to their children and themselves,” says Dr. Comen. And, in fact, these benefits go beyond lowering the risk for breast cancer—breastfeeding may also lower a mother’s risk for ovarian cancer, osteoporosis, diabetes and many other positive health effects.